Try ContactHero — free for 30 days! ContactHero makes it hard to ever forget an import call again. 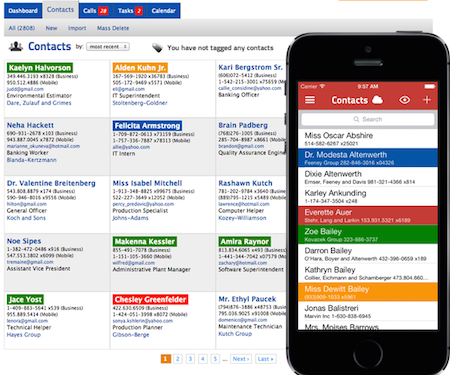 Easily schedule and track calls and tasks linked to contacts from your phone or web browser anywhere. Includes a native mobile apps for iOS, Android, complete website, and even a smartwatch app, that all work together seamlessly and efficiently. See who you need to call at a glance on your wrist using our new Pebble smartwatch app. Designed by salespeople for salespeople, ContactHero will help you simplify your life and make you a master at follow up leading to more money and sales. Shows and reports metrics on # of calls completed, tasks done, and new contacts entered. Do you forget calls or to follow up with clients? Do you have a long list of prospects to manage? Or, is keeping track of business opportunities one of your weakness? Then, worry no more as ContactHero® is here to help you! Keeping in touch or strengthening relationships is very important. 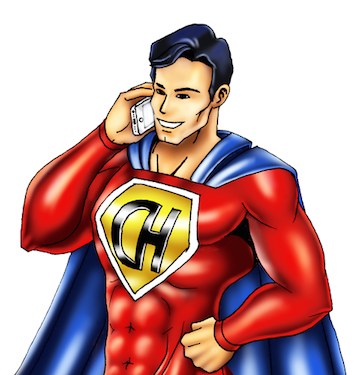 For this reason, ContactHero will give you heroic powers to track clients, calls, notes and tasks so no business opportunities can fall through the cracks. It is a business tool designed to help you simplify your life and make you a master at follow up leading to more money and sales. That is why it is perfect for sales people, mobile professionals, consultants, and anyone who is always on the go. ContactHero provides all the tools you need and expect in an effective, affordable customer relationship management (CRM) system. It tracks calls, keeps unlimited time-stamped notes per contact, and even sends out emails for you. ContactHero should pay for itself 10 to 100 times over. "I wanted to take a moment to tell you how grateful I am for ContactHero and your personal attention to my needs as a customer. 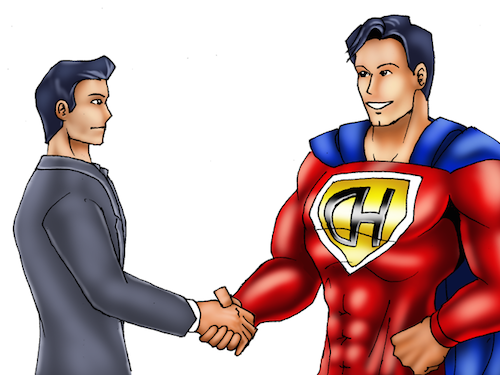 ContactHero has changed the way I look at relationship building and maintenance and has truly been a savior. It is the missing link of contact management that adds functionality no regular address book can match with a simplicity that makes the more complicated and expensive programs obsolete by making things simple. If you are an independent entrepreneur, consultant, salesman, or just anyone who values their relationships enough to invest $10 a month in them, than ContactHero is for you." "ContactHero is kind of like having a sales manager standing behind you when you are working on the phone. It makes sure that you make calls to those prospects and customers you need to call. There is no falling thru the cracks. Because it doesn't let you create the cracks in the first place. And it is very simple to use, unlike some that are TEN times as much to use per month and $600 a year less to use on the iPhone! It is kind of like sales Survivor, it helps you to outwit, outlast and outplay your competition." With it, you will be able to improve your ability to track business contacts and prospects. You can plan who you want or need to call. Plus, you will have a complete detailed history of calls, notes, tasks and outbound email messages each time you contact a particular person at your fingertips. ContactHero allows you to become more disciplined and organized because it shows and reports a variety of metrics including # of calls completed, tasks done, and new contacts entered. See how you are progressing week over week. There are other complicated and pricey web based CRMs, but typically their mobile clients, if they exist at all, were designed as an afterthought delivering a poor experience. And there are also mobile apps out there, but with no web companion solution. So, there is no need for you to install or pay for another CRM to help you manage everything in your business. With ContactHero, we provide a very complete, simple and direct way to keep track of everything from calls to messages online and mobile! There are no reasons why you should not consider trying ContactHero for free. 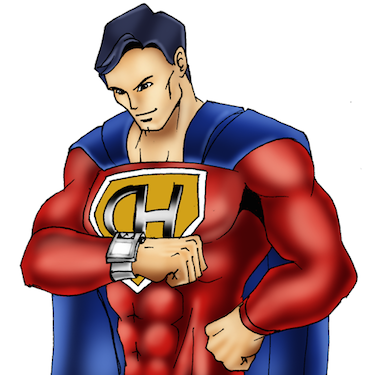 ContactHero includes an excellent mobile client as well as a website, and even a smart watch app, that all work together seamlessly and efficiently. So, what are you waiting for? Sign up now and become a master of follow up !